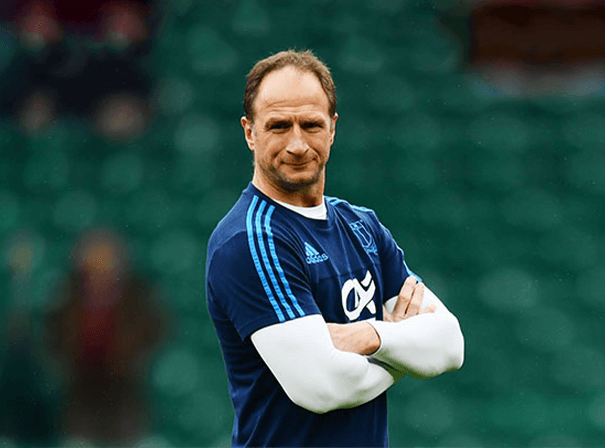 Mike Catt is an English rugby legend who made a huge contribution on the field during his years in the game, and continued to do so from the sidelines as a coach after retirement. His most famous achievement was being a part of the 2003 World Cup winning side in Australia, and in all he spent 14 years playing at the top level, making 65 caps. Mike Catt was born in South Africa and went to Grey Junior and High School and represented Eastern Province before moving to the UK and playing with Bath (more than 220 times, scoring 64 tries in that time) and London Irish. With them he was named Guinness Premiership Player of the Season for 2005/6 and playing mainly at full back during his career, he was part of England’s 1995 Grand Slam winning side, and played in the 1995 Rugby World Cup. Nowadays Mike is a regular columnist for The Sunday Telegraph and enjoys the role of Brand Ambassador for Clydesdale Bank, a leading UK bank, which he has taken up recently and which allows him to travel around the UK fulfilling appearances with clients and customers. Because of all this, Mike makes a fine after dinner speaker who can talk about motivation and success, about winning mentalities and more besides. Comfortable infront of all types of audience from corporate to private, charity dinners to brand ambassador roles, Mike Catt is an insightful character with plenty of tales to tell.